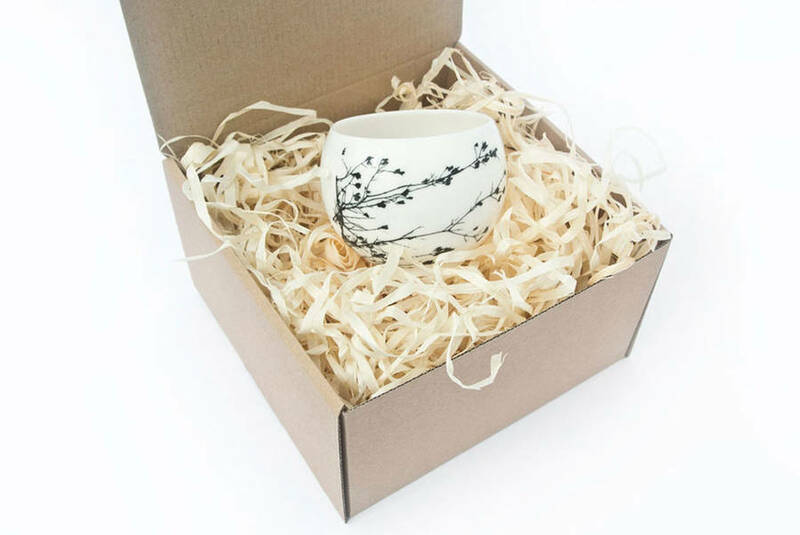 This elegant and contemporary espresso or tea cup is handmade of fine bone china. It is decorated with beautiful and delicate graphic of winter twig. 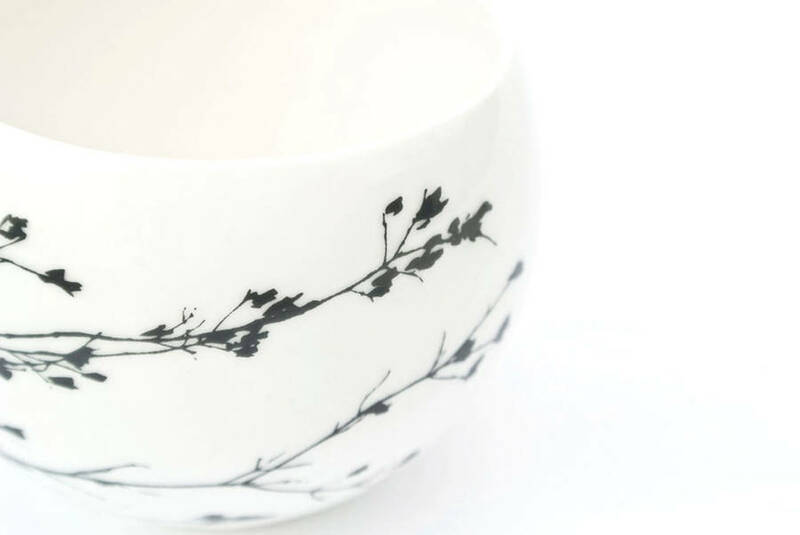 Perfect for espresso, tea or even wine. Alternatively, it can be used as a candle holder. Create magic moment by placing inside a small tea light candle. 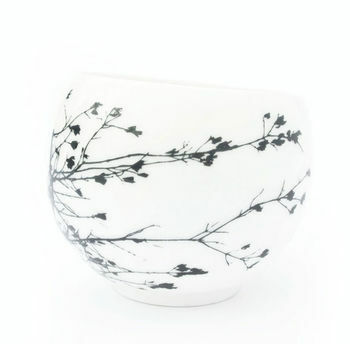 While the light is off you will be trully amazed with translucent qualities of bone china. Modern gift for special occasion or everyday use. We offer free gift wrapping for this product. If you choose this option the product will be packed in a brown aesthetic card box filled with dry wood wool and tied with ribbon. The capacity of this cup is approx. 130ml (4,6fl oz). Please note that this product is handmade, therefore may slightly vary from the images shown. 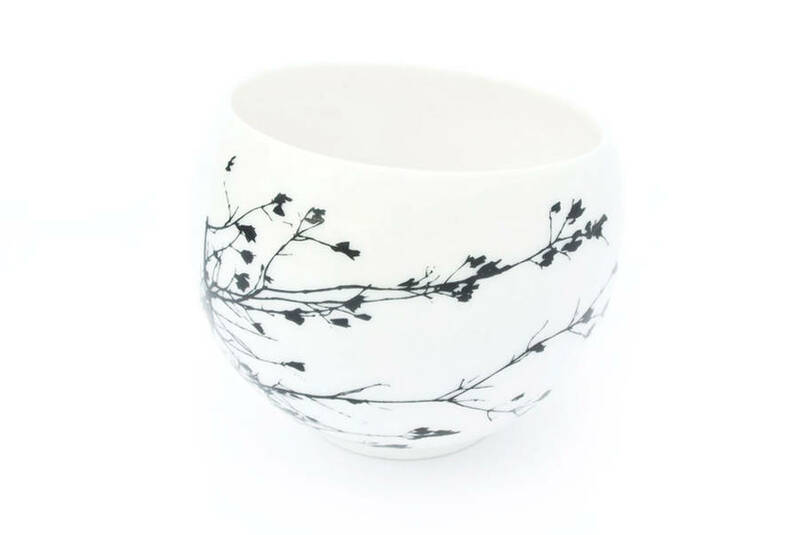 This product is dispatched to you by Kina Ceramics.